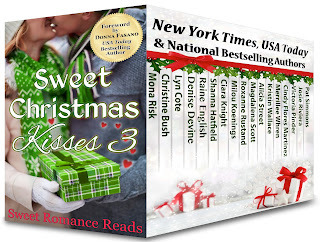 I hope you all are as excited about Sweet Christmas Kisses 3 releasing September 27 as those of us included in the boxed set are! 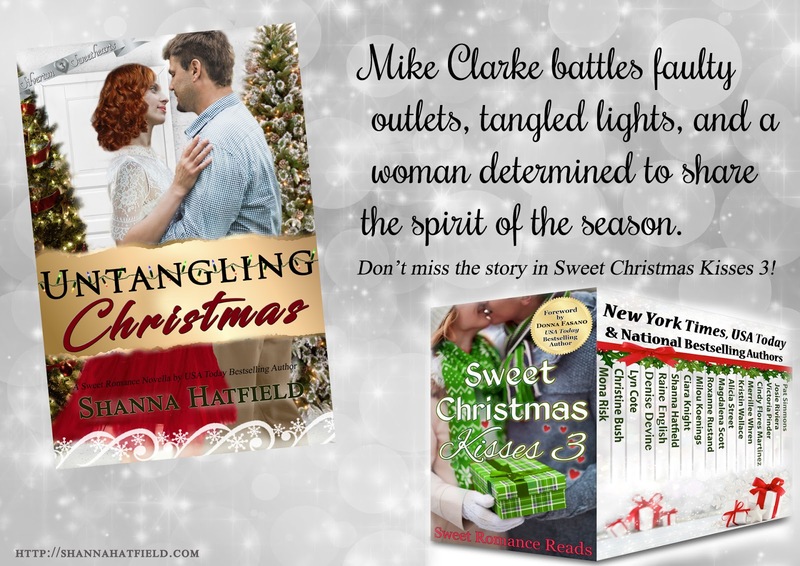 We thought it would be fun to share the first chapter of each story with you as we post on the blog this month, so here's a little peek at Untangling Christmas. Mike Clarke lowered the newspaper he held in his hands and glanced up at the woman who set a warm cinnamon roll on the table in front of him. The spice, redolent of home and holidays, drifted upward to his nose, eliciting a growl from his empty belly. Brenna McCrae ignored the sound and refilled his empty coffee cup with the steaming dark brew he favored. Mike leaned back in the chair, fighting the urge to inhale the cinnamon roll in a few hungry bites. Cream cheese frosting melted into a decadent pool around the base of the tender pastry, enticing him to sample the creamy sweetness. Rather than give in to the indulgence, he studied his best friend’s wife. Since he’d moved from Oregon’s biggest city of Portland to Silverton five months ago, the lovely woman fed him breakfast every morning at her bistro, often packed a lunch to go for him, and rarely asked for anything in return. Brock and Brenna offered him unconditional friendship and acceptance when he’d needed it most. He’d do anything for either of them. All they had to do was ask. “Hey! Keep your lips off my wife,” Brock McCrae cautioned, as he stepped inside the bistro and took a seat at the table, scowling at Mike in feigned offense. Mike laughed and released Brenna’s hand, reaching out to take a giggling toddler from Brock. He tugged off the stocking cap covering the child’s head and made a silly face that produced more giggles. “You know I will, Brenna. What can I do for you?” he asked, taking a deep swallow of the coffee. It was hotter than he expected and burned all the way down his throat, but he didn’t blink or flinch. “I don’t know if you heard, but the Silverton Foundation is hosting a Festival of Trees to raise funds for the newly opened community center your brother was kind enough to help establish.” Brenna sank down in the chair Brock pulled out for her. He kissed her cheek and draped an arm around her shoulders. “The trees begin arriving the Monday after Thanksgiving.” Brenna spoke with her gaze fixed on a point over Mike’s shoulder, unwilling to look him in the eye. “You both are terrific,” Brenna said, rising to her feet with a happy smile. “I’ll be right back with the rest of your breakfast, Mike. Do you want your usual, Brock?” Her husband nodded and she disappeared inside the kitchen. Mike ate his cinnamon roll, four pieces of crispy bacon, and eggs fried just the way he liked while he discussed Brock’s construction business and jobs they’d both work on in the coming weeks. Finished with his meal, he ruffled the baby’s hair, hugged Brenna, and told Brock he’d meet him at the warehouse at two that afternoon. At five minutes before two, he pulled up at the warehouse and sat in his truck, studying the structure from the outside. Although empty, the building certainly didn’t appear abandoned. A fresh coat of camel-colored paint with deep red trim looked neat and appealing. The parking lot was clean, as though a sweeper had recently cleared the surface. Mike stepped out of his truck and lifted a toolbox, shrugging deeper into his coat to avoid the chilly November wind whipping around him. The pewter-hued sky promised to bring an unwelcome storm. He just hoped it would wait a few hours until he was home for the night. His long legs swiftly covered the distance from his pickup to the front door. He yanked it open and walked inside. The lobby was empty, but the muffled sound of voices drew him down a hallway to a door that opened into the large expanse of the warehouse’s storage area. He stepped into the open space and looked around, aware of the glare and hum of the bright fluorescent lights overhead. Several people worked on various projects. Three women sorted tangled balls of lights. Four high school girls giggled as they looked his way, pretending to busy themselves with plastic storage tubs full of fake pine garlands. Brock and two of his crew installed sheetrock panels in one corner of the room. Mike ambled toward his friend. “Step right this way, my good man.” Brock affected an accent befitting a carnival barker and swept his hand toward a room at the far end of the warehouse. An hour later, Mike had gone through the entire building, made a list of needed supplies to update the wiring, and repacked his toolbox. “Do we need permission from the owner of the building to do the electrical work?” Mike asked as he held a piece of sheetrock while Brock nailed it to the wall. “With all these bleeding hearts around us, I suppose we are doomed to help with any and all events like this one. It’s a good thing I don’t mind doing charity work.” Mike checked his watch. “I need to drive out to a new job site. I’ll be back Friday and take care of the wiring.” He turned around and nearly dropped the toolbox he carried on his foot. She shrugged and held a hand toward him. Several bracelets jangled around her wrist, tinkling as she waited for him to accept her outstretched hand. Reluctantly, Mike shook her soft fingers. A jolt shot from where her palm touched his all the way up to his head then down to his toes. He released her hand and stepped back, alarmed by the sizzling current coursing through him. If he didn’t know better, he would have thought he’d been electrocuted. He’d experienced the zinging sensation enough in his work to know when it happened. “It is, Miss Taggart, but I have other jobs to do and will only be available to help this weekend.” Mike wondered when his mouth and brain had suffered such a major malfunction. After meeting crazy Taylor Taggart, he did not intend to offer his help. Yet, he’d just committed himself to working all weekend on the wiring. “He’s my brother. Can you see a family resemblance?” He rubbed a hand along his scruffy beard. “Barely. Levi is such a gentleman and looks the part. His wife is absolutely stunning.” Disdainfully, her gaze swept over him again. Rapidly pulling himself from his maudlin thoughts, he glanced at Miss Taggart again. 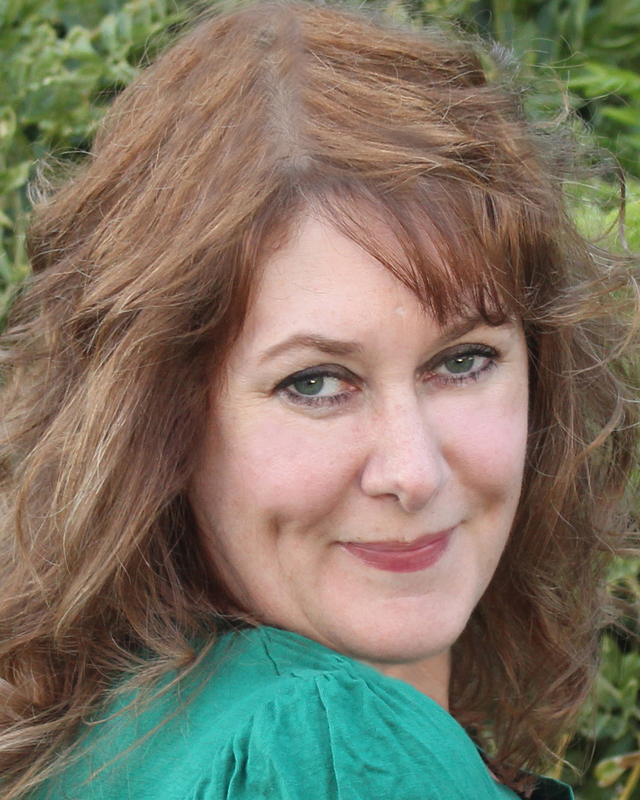 Red hair, smooth and shiny, swung around her face in sassy layers that put him in mind of a feisty fairy. Incredibly long, dark lashes rimmed blue eyes the color of frozen winter lakes. Those intriguing orbs held a mixture of intelligence and amusement. Unlike most redheads, no freckles dotted her creamy complexion. A pert little nose sat above a pair of perfectly kissable lips. Despite her ridiculous attire, he might have given her a second look, if he didn’t so thoroughly loathe redheaded women. 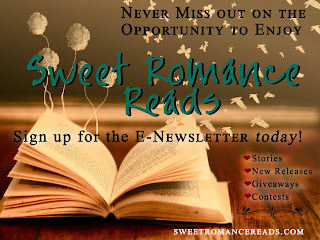 Desperate to get away from the woman, he hurried outside, tipping his face up to the bone-chilling rain that fell in heavy drops laced with sleet. He needed something to distract him from the insane longing he felt to rush back inside and kiss Miss Taylor Taggart. Maybe he’d end up with pneumonia and not have to see the woman again.
. Join us for the Release Party Tuesday, September 27, from noon-10 p.m. (Eastern Time) on Facebook! I knew I liked Mike. :) My dad has the same prejudice against redheads. Makes summers challenging when my hair goes a very red auburn. Can't wait to read more!